We hope you had a wonderful Christmas and that you are refreshed and ready for more learning adventures in 2017. Our topic this term is Awesome Animation. On Friday 13th. January, we will have a class WOW! day, when we will all get to come to school dressed as our favourite animated character. This could be a character from a film, cartoon, or even Minecraft! Please don't buy expensive outfits - we will have prizes for creative, home-made costumes! We will begin by looking at how animation is made and how it has changed with time. 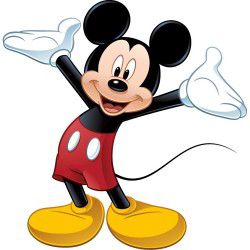 We will create flick books in the style of early Disney cartoons, such as Mickey Mouse (Mrs. Dodgson's favourite! ), before moving on to plasticine modelling and Lego animation using computer apps. In English, we will be investigating the power of advertising. We will create and make our own brand of chocolate and will then use our animation skills to create a short advert to promote our amazing products. Initially, we will learn how to use persuasive language for our packaging and advert, before writing the advert's script and using poetry to create catchy jingles! Our Science and Music, which will be all about sound, vibration and pitch, will add the final flourish to our animations. Have a think about which chocolate product is your favourite and why. And, here's an excuse to watch TV... please watch some adverts for different chocolate products!